Any type of legal dispute, whether personal (between individuals) or commercial (between businesses) is stressful. You may find yourself being sued (taken to court) by the person with whom you are having the legal dispute – a neighbour or business partner for example – or you may wish to take someone to court and sue them. Either way, you’ll want the problem resolved as quickly as possible. Litigation law and dispute resolution can be complicated and legal costs are often very expensive. 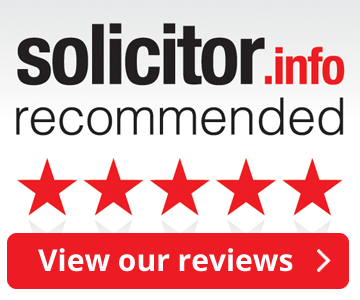 If you decide to deal with a case yourself, as an individual, company or organisation, without representation in court by a solicitor (litigant in person) it is vital that you obtain good quality legal advice. Contact We Talk Law on 0203 002 4898 to resolve your problem. Our experienced lawyers regularly handle a variety of civil litigation and commercial litigation cases and they will guide you towards a resolution. A legal dispute with a neighbour can be very distressing. Disputes over house and garden boundaries and noise are among the most common complaints. If you have a dispute with your neighbour, you should try to solve the problem informally by talking to them before taking legal action. You could contact their landlord if they are a tenant, use a mediation service or make a complaint to your local council if the issue is related to noise. If your neighbour is breaking the law, contact the police. Commercial litigation covers all business conflicts such as breaches of contract, employment disputes, interference with business relationships, shareholder issues, partnership disputes and debt collection. Contact us at any stage of your case on 0203 002 4898 and one of our practising lawyers can help you.